Weeds are a fact of life, and given a bare patch of soil they will quickly establish themselves. The move is away from from weed killers that contain glysophate, and many studies have pointed out problems. Other ingredients in weed killers are also subject to debate as to their safety. 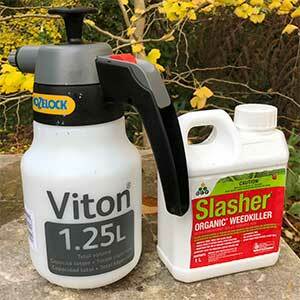 Today gardeners are looking for organic solutions to control weeds and we look at the best. There is no one BEST method of organic weed control. For large areas we use either the organic weed killer or a flame weeder and then newspaper and mulch. 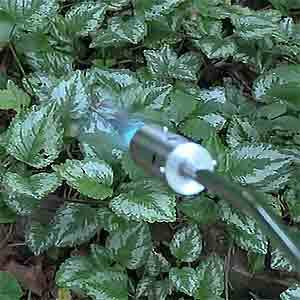 For smaller areas, we tend to dig the weeds, OR use organic weed killer on those bulbous weeds. When weeding paths and paving, we use boiling water, flame weeder or the organic weed killer. 7 Organic Weed Control Methods to control or kill weeds Organically. Digging and removing weeds is the best method, however not for all weeds. It you can dig and remove the root system, the weed is gone. However with weeds that have small bulbils, such as oxalis, digging can be counter productive as the you can end up spreading the bulbils around the garden. 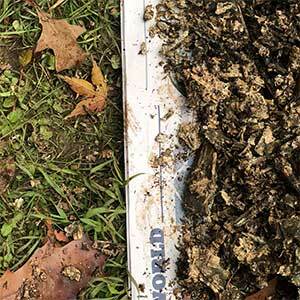 Mulching is recommended, however mulch in itself is more of a weed suppressant, it helps stop weeds from forming. To make mulching actually kill or control weeds you need to but down a barrier first. Newspaper, cardboard or a biodegradable and organic weed mat. This method means cutting the weeds back to the ground, layering with the barrier material and then applying mulch. Flame weeding. This is quick, and efficient if you buy the right flame weeder. It will not kill the root system, so repeating the process will be necessary. It’s a great method for gravel paths and similar areas. Boiling Water and Steam. Both will knock back weeds quickly. Again they will not kill the roots, so repeated applications will be needed. Vinegar and salt. A mixture will kill weeds, however too much residual salt in the soil will stop other plants from growing, so salt is not a long term solution. Solarising the area by covering it with plastic. This method can work in the summer, the heat of the sun builds up beneath the plastic and cooks the weeds. You can use clear or black plastic, clear works best in hot sun. You can also use a sheet of galvanised iron. Organic weed killer. Yes it does exist. This is a new product that is made from Nonanoic Acid, and this comes from plant oils. It is sprayed on and will knock back most weeds that you cover with the spray, and very quickly. Again, it will not kill the roots in one application, however repeated applications will starve the roots over time. The one we have trialled is called Slasher and it is registered for use in organic farms and gardens.